Xiaomi Flash Sale was happening every week in Official Mi India store which was the only way to buy Mi band in India. But now, Mi band is available on open sale. Mi band was launched in April 2015 by Xiaomi in India. Since its launch, Mi band is considered as one of the best fitness trackers in India. Mi band Sale in eBay Price - Rs. 1,014. Sale link - http://www.ebay.in/itm/like/252119751785. This is the lowest price in India as on today. Mi Band Sale Page in Flipkart - Currently not available. 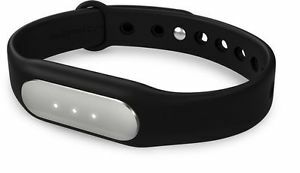 Mi Band Sale Page in Snapdeal - here. Check current availability in that page. You can monitor your daily fitness level easily. You can use Mi band to achieve your daily fitness exercise targets you set and work towards a healthy body. Shows you how many steps you have walked. It has automated sleep monitoring system that analyzes your sleep quality. You can measure the length and quality of your sleep easily. You can get action plans from Mi band app that helps you to improve sleep quality. The data is based on your deep and light sleep cycles. No manual set-up is required. It has a smart vibration alarm which helps you to wake gently 30 minutes before the alarm goes off. You can save upto a year worth of data. Share and compare the data with your friends.